On May 20, negotiations on a new labor contract between the United States Postal Service and the National Rural Letter Carriers’ Association (NRLCA) came to an impasse. The parties will continue to follow the current agreement until a new contract is reached through the dispute resolution process. The NRLCA represents more than 116,000 employees who deliver mail primarily in rural and suburban areas. 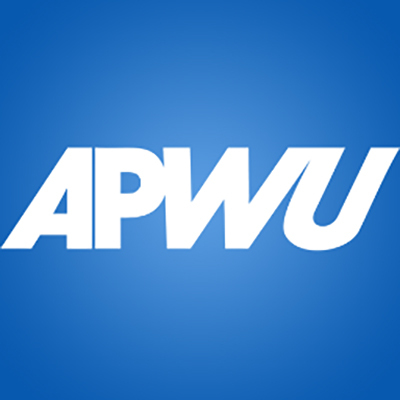 On May 20 – the day our contract expires – show solidarity by wearing APWU-themed gear to work. That’s the message from APWU President Mark Dimondstein. “I urge you to wear a union T-shirt, cap, button or sticker. If you can’t get your hands on an APWU item, please wear blue,” he said. “As the contract clock ticks down, let’s send a message to management that we stand together! Let’s send a message that we won’t stop fighting for Good Postal Service! Good Jobs! Good Contract!